a total of 41.42% increase. l Original plan was that India would buy 18 off-the-shelf Rafale jets from Dassault Aviation, with 108 other being assembled in India by the state-run HUL, Bengaluru. l In 2016 PM Modi visited France and changed the deal. 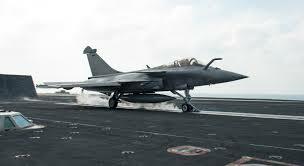 l In new deal India will spend 58000 crore INR or 7.8 Billion euro for 36 off-the-shelf Rafale twin-engine fighter jets. l Follow-on-clause - It means that the Indian Government was having an option, Contract to buy up to 50% of the quantity bought earlier under same term and condition, in earlier UPA Rafale Deal. l Benchmark Price - Benchmark price of 5.2 bn increase to 7.8 bn because of NDA governments choice changes to Reliance from HUL. l Letter of Comfort - Modi Government don’t take the letter of comfort from French Government because of Fragile condition of Dassault. l India Specific Enhancement- Vendor demand 1.4 billion euro for 126 Rafale Jets in earlier deal but in the current deal of Modi government the cost of India Specific Enhancement was 1.3 billion euros for only 36 jets an increase in 25%. l Offset Clause- According to new Deal In which France will invest 50% of the 7.8 billion euros in India. 1. Rajeev Verma, Joint Secretary and acquisition manager(AIR). These three were against the New Rafale Deal, other 4 were in favor of the Rafale Deal. l Indian specific enhancement is the non-recurring cost because it is not affected by the number of aircraft. l DAC(Defence Acquisition Council) was empowered to take a decision under the defense procurement but the head Manohar Parrikar don’t perform his role because he passed the matter to the cabinet without considering it properly. l NDA government was having special leverage because the other opponent of Rafale I.e. Eurofighter Typhoon provide 20% discount, this can help the Indian side to negotiate more in respect of price. l The institution or mandated procedure was bypassed and guidelines were violated. 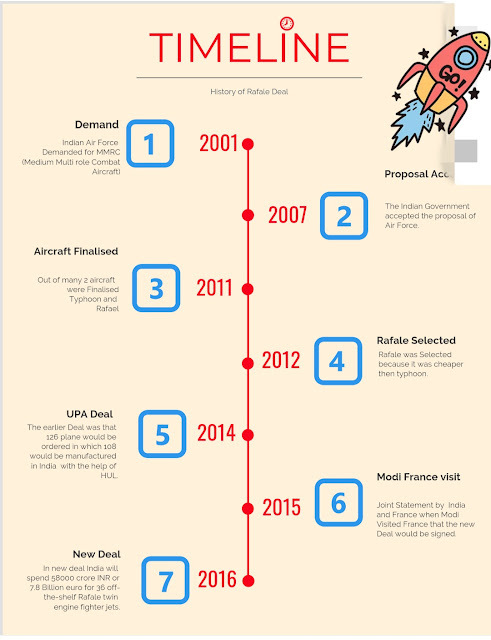 These are all the facts about Rafale Deal without any politics involved. All is up to you that what opinion do you want to make by seeing all the facts of the Rafale Deal.